At first glance it looked like a virtual hell. Beneath the pouring rain, young children with no shoes staggered under heavy sacks at an unregulated cobalt mine in Africa's Democratic Republic of Congo (DR Congo). Ruthless overseers threaten to beat the children who don't work fast enough. Some of these children, according to the narrator, are as young as four years old. 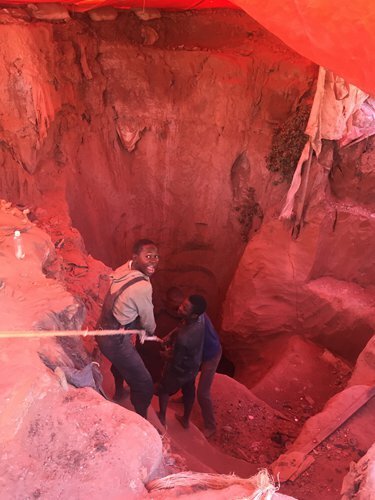 The video report by Sky News, a UK-based news organization, released earlier this year, claimed that the cobalt collected by child laborers in these small mining operations will be sold to Chinese dealers who don't ask questions about its source or who extracted it. Dealers will then sell most of the cobalt to Congo Dongfang International Mining, a subsidiary of Zhejiang Huayou Cobalt, which supplies most of the world's largest battery makers. Cobalt is a key material for lithium-ion batteries. With the growing global demand for electric cars and devices, cobalt has been dubbed as the "new gasoline." Over half of the world's cobalt comes from DR Congo. The video, with its strong allegations, was used as major evidence against Chinese operations in DR Congo. On November 15, Amnesty International released a report highlighting the child labor issue in DR Congo and criticizing the Chinese company and its supply chain. Investigations by the Global Times this July, however, found many inconsistencies in the Sky News report, which was suspected of having been staged as part of a Western conspiracy against Chinese companies who are increasingly dominant in the competitive cobalt market in DR Congo. The Global Times reporter visited Kolwezi, capital of Lualaba Province in the South of DR Congo and center of the country's copper and cobalt mining industry. Kolwezi is also where the mines shown in the Sky News video are located. Alain, the younger son of a local chief, said he was a fixer for the two British journalists from Sky News when they visited the mine at the beginning of the year, including hiring for them the children who appeared in the video. 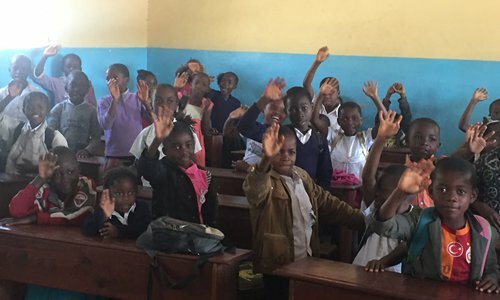 "They gave each child a reward of $250, and they told them what to say and how to act," Alain told the Global Times in Swahili. Alain claims the British journalists promised that hospitals and schools would be built in the area in the near future, but said that first they needed to take photographs and videos there. Eliace, a local freelance mining consultant, said the video looks staged. "They made two major mistakes: First, mining on rainy days is a taboo here because it will increase the rate of accidents. Second, this is a copper mine, but in the video it's described as a cobalt mine," he told the Global Times. Eliace added that the mine in the video belongs to the Congolese government, and therefore cannot be sold to Chinese companies. Zhu Chunyou, a manager at Jiangzhi Warehouse who appeared in the Sky News report as a Chinese dealer and who, according to the narrator, does not ask for sources, told the Global Times that nobody approached him for an interview. Instead, he claims he was filmed secretly. "In reality, we source every batch we receive, and we keep paper receipts for a year. After one year, we make a digital copy of the receipts and keep those for three years," Mr Liu, Zhu's superior, told the Global Times. Makumba Mateba, a local cobalt miner, appeared in the video with a large tumor on his neck. According to the subtitles, he was quoted as saying that drinking water from the mining site had caused him to get sick. However, when interviewed personally by the Global Times, he said the tumor had been with him for the past 10 years. "I don't know about the cause of the tumor. This is what I told the British reporter," he said. For more than a century, Western countries, first through colonial rule and then through multinational companies, exploited DR Congo's natural resources and plundered its wealth. As a result, while being one of the world's richest countries in natural resources, it is also one of the poorest and most underdeveloped nations. The arrival of Chinese companies over the past decade challenged Western dominance. At the end of 2005, there were only 15 Chinese companies investing in DR Congo. 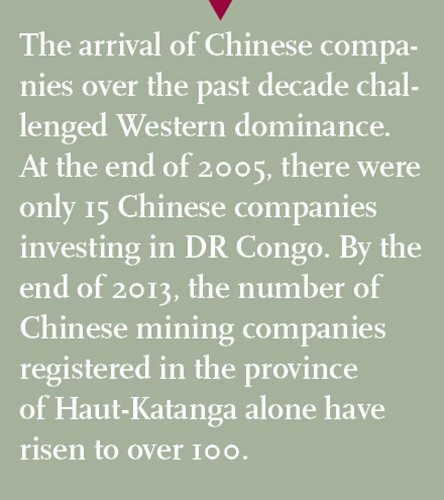 By the end of 2013, the number of Chinese mining companies registered in the province of Haut-Katanga alone have risen to over 100. Kapend Williag, director of the Musompo market, the biggest mineral market in Kolwezi, told the Global Times that the market has been dominated by the Chinese for the past seven years, with about 98 percent of mineral buyers in the local market being Chinese. "Chinese businessmen are rich and willing to pay cash. Some Western companies voluntarily quit the competition when they see the Chinese coming," he told the Global Times. "The Chinese are good at working with the Congolese. They don't look down upon us," he added. Chinese companies are bringing changes, but not everyone likes it. Jean-Marie Tshizainga, minister of mines at the Lualaba Province, told the Global Times that, "DR Congo is rich in resources, but the cobalt market is a small one. By smearing Chinese companies, Western companies may be able to get more businesses." "This is a Western strategy to gain profits, and the Western media are working with the companies in the strategy," Tshizainga added. "Western media distorted and exaggerated the truth." Contrary to Western claims, Chinese companies are providing a large number of decent jobs and other economic opportunities to the Congolese. For many locals, working at a Chinese company means good welfare and healthcare. Peng Yunqi, CEO of Kemika Mines, a Chinese mining company in DR Congo, told the Global Times that Congolese employees and their families enjoy free healthcare. Chinese companies also provide financial support to families unable to afford their children's education. "Chinese companies don't ask about personal histories and are willing to spend the time to train employees," he said. Six years ago, Didier Kyona, then a 24-year-old student at DR Congo's top university, University of Lubumbashi, was selected by Congo Dongfang International to study in China for two years for free. Today, he is a manager at Congo Dongfang International. Kyona speaks fluent Putonghua. Kyona said that Chinese-speaking natives are hot in the local job market as the number of Chinese companies moving there continues to grow. In addition, Many Congolese males who were addicted to gambling changed their lives for the better after joining Chinese companies and learning new skills, a Congolese employer working at a Chinese company told the Global Times. Apart from providing training and job opportunities, Chinese companies contribute enormously to local infrastructure. Traveling between Lubumbashi and Kolwezi, for example, used to take over five hours. Now it takes only three on a new highway constructed by China Railway. Richard Muyej Mangeze Mans, governor of the Lualaba Province, said this warm cooperation between China and DR Congo is partly because Joseph Kabila, DR Congo's President, used to study in China 20 years ago. Kabila attended the National Defense University PLA China from February 1998. Although a riot in DR Congo interrupted his studies, he remained on good terms with the Chinese and visited China during its V-Day military parade in 2015. In the past, Congolese government officials preferred to send their children to Europe or the US for further studies. These days, many find China more attractive. Tshizainga's four children, for example, are all currently studying in China. "I want them to learn from China's technology and contribute to DR Congo's development after they graduate," he told the Global Times. Government officials like Tshizain and citizens like Kyona expressed their willingness to change their own country by learning from China. Peng said this shows how people from different classes in DR Congo admire China's rapid development and want to follow the Chinese model.